1. 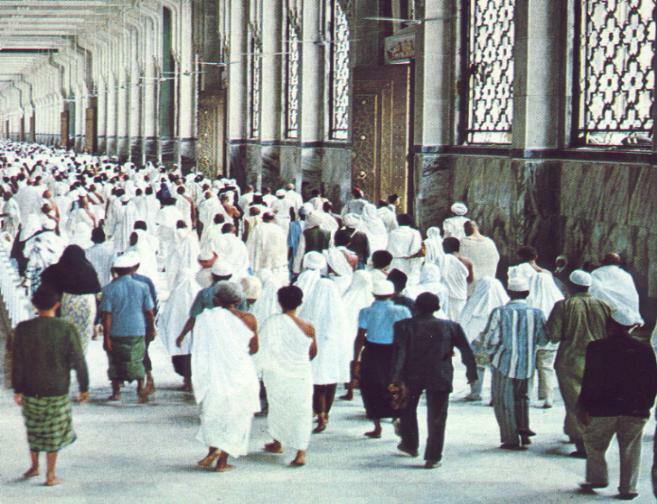 Ihram: You should be already in Ihram for Umrah before entering Mecca as mentioned above. 1. You may also use supplications used in the daily Salah or you may seek forgiveness of Allah and ask Him whatever you wish in your own language. 2. 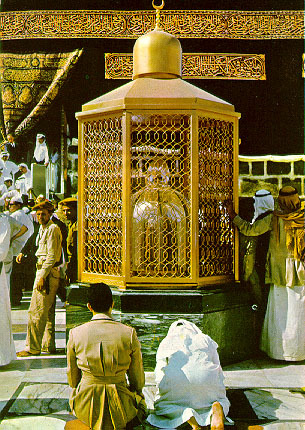 Hatim: Hatim is a semi-circular half-built portion which was originally a part of the Ka’bah but which could not be included in the main structure when the Ka’bah was rebuilt. It is obligatory to go around Hatim also while performing tawaf. 6. Iztaba Finished : Now Iztaba is finished, therefore, you cover your both shoulders with upper portion of the Ihram sheet. This does not apply to women. 7. 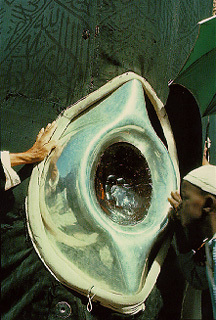 Multazam: Now, come to Multazam which is a place five or six feet in length between Hajar-e-Aswad and the door of Ka’bah. This is a highly sacred place where prayers are accepted. 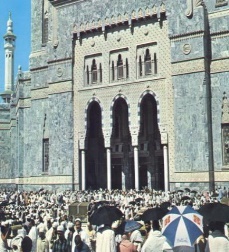 Among a large crowd of people, if it is possible to reach Multazam, cling to it pressing your chest and cheeks, and while trembling and crying with devotion and with all humility seek Allah’s mercy, His blessings and ask Him whatever you wish. If you are unable to come close to Multazam, just face towards it and supplicate from a distance. 4. At Marwah. When on top of marwah, praise Allah facing the Ka’bah and repeat the same supplications that were recited at Safa. One trip is over, second trip will be on Safa and third trip will be on Marwah.